This cadence-based playlist** was used the week of June 3, 2018. I don't use a ton of rap in class because it's just so cliche. However, when it comes to cadence, few genres provide a more consistent beat. So focus on cadence. Here's a glimpse of my Evernote file [i.e class notes] for the profile. I absolutely enjoy the ubiquity if Evernote....it's why you may see me glance at a phone at times. Every Wednesday on my Instagram, I do Woman Cyclist Wed. Check out Equinox rider Rosa who just rode 300 miles over 4 days! And she only had 7 days notice. ALL of her prep was indoors. 6. Form? Huh? This oft-used graphic speaks to the muscles one should engage while pedaling on a bike. It's not JUST cadence:) . 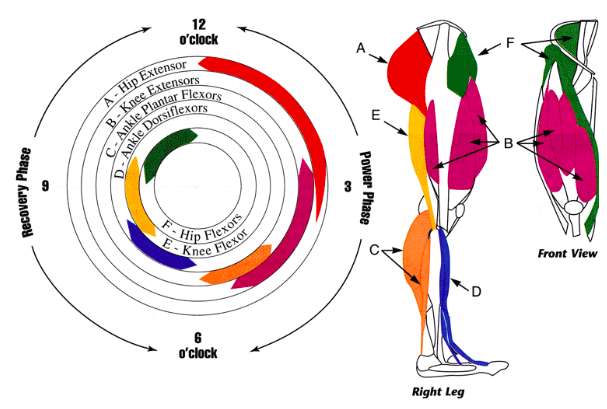 Graphic Source: A qualitative analysis of the biomechanics of the proper pedal stroke, Grant Bullock and others. 8. 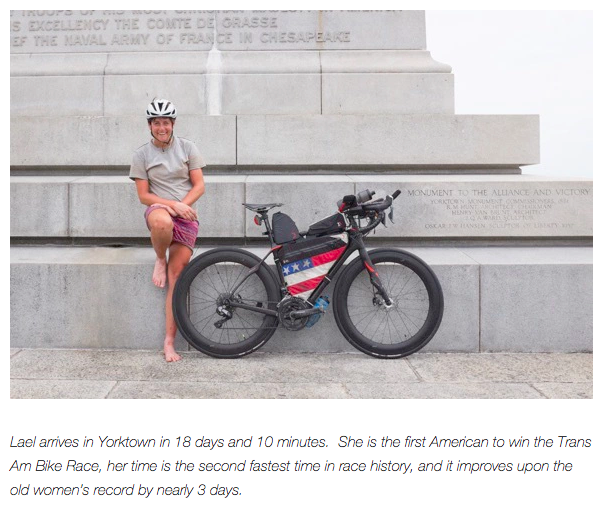 I've discussed a couple of really cool endurance performances by women. 24 year old Floridian, Amanda Coker rode her bike 86,000 miles in one year! That's 236.8 miles PER DAY. In 2016, Leal Wilcox won the Trans Am bike race, a 4000 mile sojourn across the United States. She improved on the previous women's record by 3 days and recorded the second fastest overall time in the vent. 9. Feel inspired? June 9 and 10, the Armed Forces Classic comes to DC. They have both men's and women's races and even allow amateurs (folks like me and you) to ride the course prior. If you've never seen a professional bike race, it's a fantastic spectator sports. Plus it's FREE.